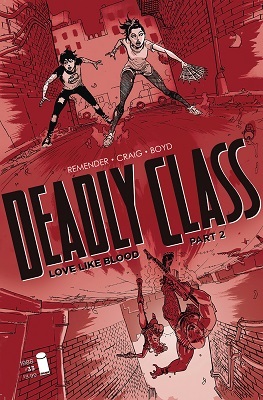 This book is in Deadly Class (2014 Series). 'LOVE LIKE BLOOD,' Part Two: The streets of Puerto Pe?asco run red as Marcus and Maria re-enter the world of shadows they'd fought and died to leave behind. The culmination of the entire series to date, LOVE LIKE BLOOD promises to tear apart hearts.